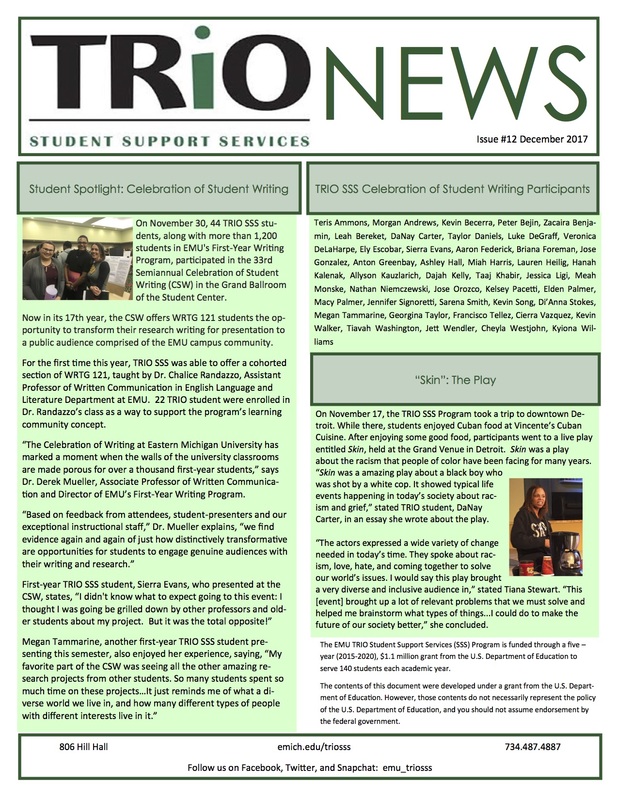 The December 2017 TRIO Newsletter included an item on that program’s participants in the 33rd semiannual Celebration of Student Writing at Eastern Michigan University, which was held Thursday, November 30, in the Student Center Ballroom. Learn more about EMU’s TRIO program at http://www.emich.edu/triosss/. Additional information about the program’s purposes is available on the U.S. Department of Education website. Eastern Michigan University TRIO newsletter, December 2017, highlighting student presentations at the 33rd semiannual Celebration of Student Writing.